Why celebrate 100 years of national parks? It’s simple. Because these places matter. America’s national parks are beautiful, emotional places. Parks like Gettysburg National Military Park, Flight 93 National Memorial, and the Selma to Montgomery National Historic Trail tell us about who we are and help us understand history. 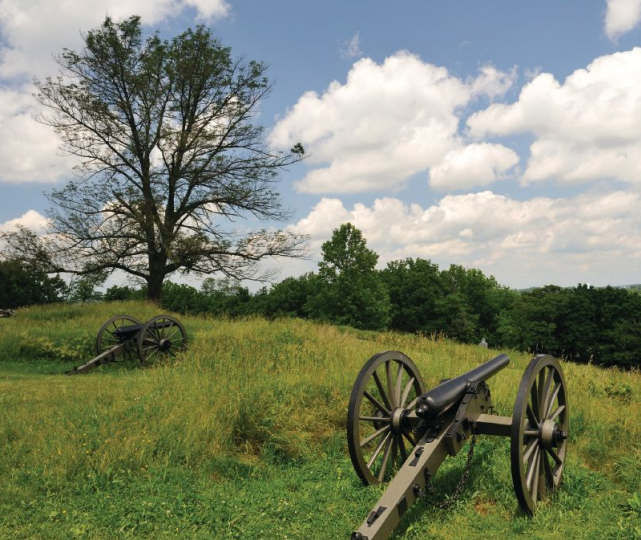 As we celebrate the national parks’ Centennial, Gettysburg National Military Park and Eisenhower National Historic Site Superintendent Ed Clark shares a look back at the last century of national parks history and what’s ahead. Many parks are natural wonders that offer scenic getaways, wildlife viewing, and other adventures. The centennial is about celebration, discovery, and making new connections. This year’s centennial programs and special events will center on the theme of Find Your Park. This public awareness and education campaign celebrates the milestone centennial of our national parks and sets the stage for a new century of service. 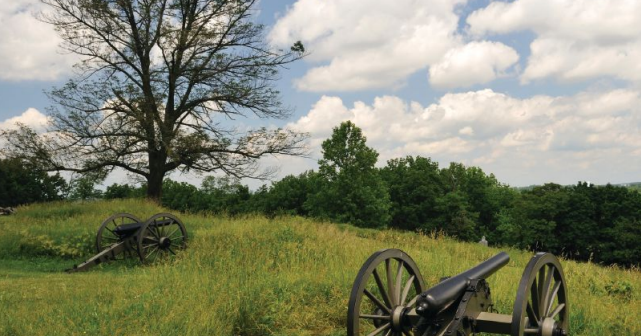 One of our newest programs is the Artists-in-Residency program at Gettysburg National Military Park. New and expanded arts programming is helping us find ways to connect with new audiences in our communities and across the country. Our vision at Gettysburg is to provide memorable experiences for our visitors so that when they leave, they tell others to come here, and tell their sons and daughters how important these places are. We can’t preserve these parks for future generations all on our own. the country. By focusing on arts programs, we can find new expressions of the park experience and fresh perspectives that showcase the meaning of the parks. Art is a fundamental way that people connect with the parks. The lessons of leadership, bravery, conduct, recovery, and resilience that can be learned on the battlefield at Gettysburg, in the cemetery, and at the Eisenhower farm are lessons that have value in our lives, from the first grade, right on through. We’re overflowing with inspiring stories—our challenge is always to continue to work on making the connections to our audiences. Arts programming helps us make those connections visit their website. An outstanding work of sculpture, the Virginia Memorial plays a central role in one of my transformational moments. I can remember standing in tall grass near the Virginia Monument, staring out past Emmitsburg Road, listening to my father wondering aloud about Gen. Lee’s fateful decision to launch the frontal assault of July 3, 1863. Through the fences and expansive fields, I could picture what my ancestors must have seen at the Copse of Trees. As I crossed that field, I walked in their footsteps. That’s a moment that, rooted right at the base of a Gettysburg monument, helped me to form a deep appreciation of history and its modern connections and importance. Ed Clark is the superintendent of Gettysburg National Military Park and Eisenhower National Historic Site. He provides strategic leadership for the nation’s premier Civil War battlefield and between the National Park Services and Gettysburg Foundation.